In my last post i spoke about upgrading ESXi from 5.1 to 5.5. In this blog post i will be talking about upgrading vCloud Director from 5.1 to 5.5. I will jump in directly to the installation assuming that the vCD 5.5 bin file has been downloaded and uploaded into the vCD cell that is being upgraded. Take a SSH session to the vCD cell using Putty. to the cell that’s being upgraded. It will say the cell is active. This command prevents new jobs from being started. Existing jobs continue to run until they complete or are cancelled. When the Job count is 0 and Is Active value is false, it is safe to shut down the cell. Navigate to the path where you have copied the .bin file of vCD 5.5. Use chmod to make it installable. and start installation by typing the below command. Now the Installer detects the vCD that is already present and asks if you want to upgrade it. Once the upgrade is complete it will ask you to upgrade the database schema. Once all the upgrades on DB is complete the installer will ask if you want to start the vCD service. That completes the process of upgrading the vCloud Director. And now you can use all the new features that come with version 5.5. Nice post – thanks for doing the work. 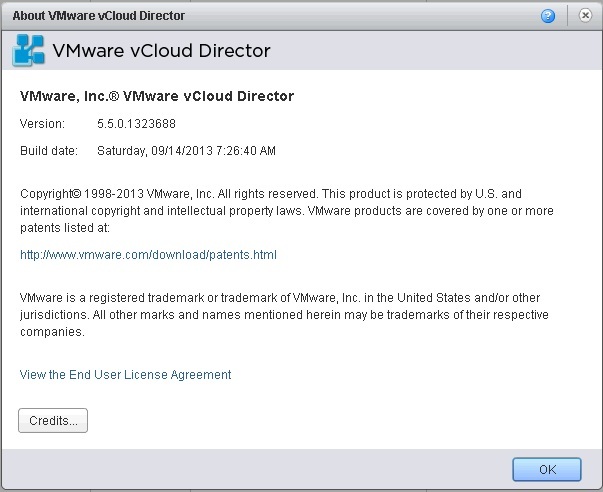 Will vCD 5.5 work with vCenter 5.1, ESXi 5.1 ? Thank you. Yes vCD 5.5 is supported with vCenter 5.1 and ESXi 5.1. How about vShield Manager or Networking and Security Module? You will have to upgrade that too. Only vCNS 5.5 will work with vCD 5.5.